Lowongan Kerja Terbaru Agustus 2016 SMOE Indonesia Batam atau Sembawang Marine Offshore Engineering (SMOE) adalah salah satu perusahaan fabrikasi di Batam. PT. SMOE Indonesia Batam sebagai perusahaan cabang dari SMOE Singapura ini selalu mendapat kontrak kerja dari perusahaan minyak dan gas di Amerika dan Australia. 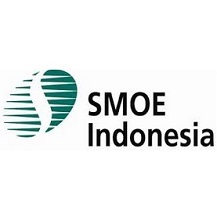 SMOE Indonesia bergerak dalam bidang konstruksi minyak dan gas seluruh dunia dengan menyediakan jasa di bidang teknik, pengadaan, konstruksi dan instalasi. Having experience more than 2 years (fresh graduate are welcome). Knowladge of Accounts on a monthly basis. Reviews, investigte and corrects errors and inconsistencies in financial entries, documents and reports. Graduated from reputable university, relevant educational on Tax. Having experience more than 3 years in Tax matter. Capable in reporting and familiar with Annual Returns on Corporate Income Tax and Returns. Experience working in fabrication and construction field prior. Having experience with Scaffold design more than 3 years. Candidates must possess strong computer skill for AutoCAD. In depth knowladge in all aspects of scaffold design. Good working experience of frame analysis programs in relation to scaffold designs. Able to work on height. Have a certificate / Training of Air-Conditioner (Must). Comfortable in trouble shooting all kind of air-conditioner and changing spare parts. Experience of install and dismantle new air-conditioner unit. Must have Electrical Knowladge and able to know Breezing the cooper tubing. Have knowladge with Insulation Job. Support Direcr Supervisor for administrative matters which includes Draftig Letters, files management and legal research. Bilingual in English and Indonesia & Proficiency MS Office Application.